Goodbye Windows Live, Hello Skype , along with its robust communication functionalities, as the company’s future chat center for $8.5 billion (recorded as Microsoft’s largest acquisition to date). On Friday, March 15, 2013, Microsoft will do away with its current online chatting service, Windows Live Messenger and transition to Skype. Skype will be Microsoft’s new chat center in its full capacity, providing communication services to countries across the globe with the exception of China. Over the past two years Microsoft has been planning for this transition, taking all measures to make it a smooth one. As Windows 8 and Office 2013 hit the ground running over the next year, you will see Skype incorporated into every instance possible. Skype supports signing in with your Windows Live ID/Microsoft account credentials. Consumers will now be able to access their Messenger, Hotmail, Outlook.com and Facebook contacts in one central location. In addition to common messaging features, Skype offers a broader range of additional features and device support. The move will allow consumers to chat on all platforms including iPad and Android tablets, send instant messages, make video calls, group screen share, join a group chat, and call contacts on their mobile or land lines. While Microsoft is urging users to move to Skype, consumers should be aware that once you install Skype, Windows Live Messenger will uninstall automatically. For instructions on how to replace Live Messenger and start using Skype as your chat center of choice, click here. Once you are in Skype, you will want to make one immediate change to your settings: Enable ‘Compact View’. By default, Skype presents a single application window. There are no tabs or separate windows for individual IM (or video/audio chat) conversations, it’s just a single window. To enable Compact View, select View and then Compact View. When you do, Skype redisplays with two windows, one for the contact list - just like WLM - and one for Skype Home display, which you can simply close. If you have any questions regarding this transition contact your network service provider today or call us at 1.866.Pick.ITS. As transparency in communication and social network integration are at an all-time high, Microsoft has yet another plan up its sleeve to exceed expectations. 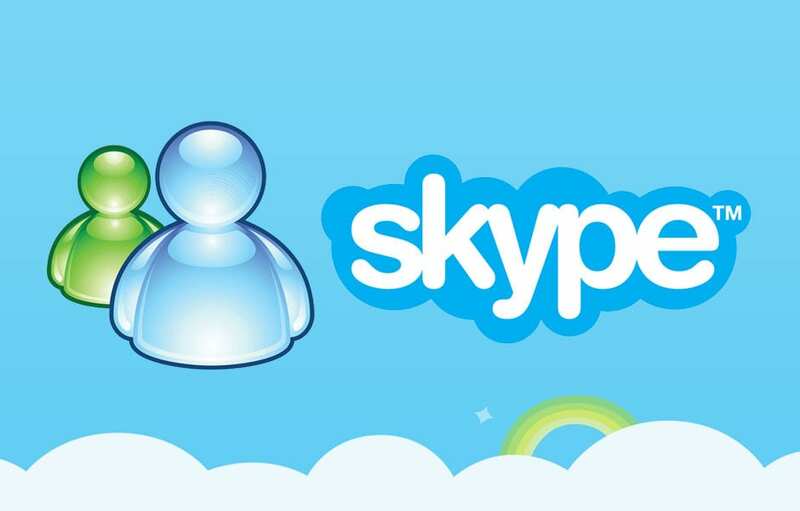 In 2011, Microsoft acquired Skype, along with its robust communication functionalities, as the company’s future chat center for $8.5 billion (recorded as Microsoft’s largest acquisition to date). On Friday, March 15, 2013, Microsoft will do away with its current online chatting service, Windows Live Messenger and transition to Skype. Skype will be Microsoft’s new chat center in its full capacity, providing communication services to countries across the globe with the exception of China. Over the past two years Microsoft has been planning for this transition, taking all measures to make it a smooth one. As Windows 8 and Office 2013 hit the ground running over the next year, you will see Skype incorporated into every instance possible. Skype supports signing in with your Windows Live ID/Microsoft account credentials. Consumers will now be able to access their Messenger, Hotmail, Outlook.com and Facebook contacts in one central location.